We spend an awful lot of time and energy trying to banish bacteria from our lives, but the reality is we need some bacteria to stay healthy, especially in our gastrointestinal tract. 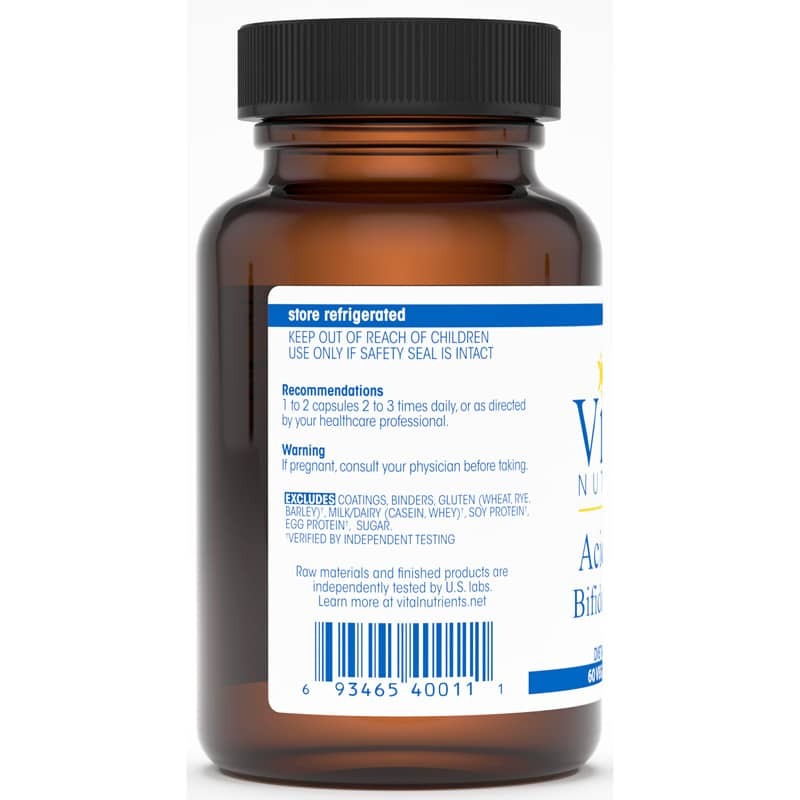 Help keep your digestion on track with the right bacteria with Acidophilus/Bifidobacter/FOS from Vital Nutrients. 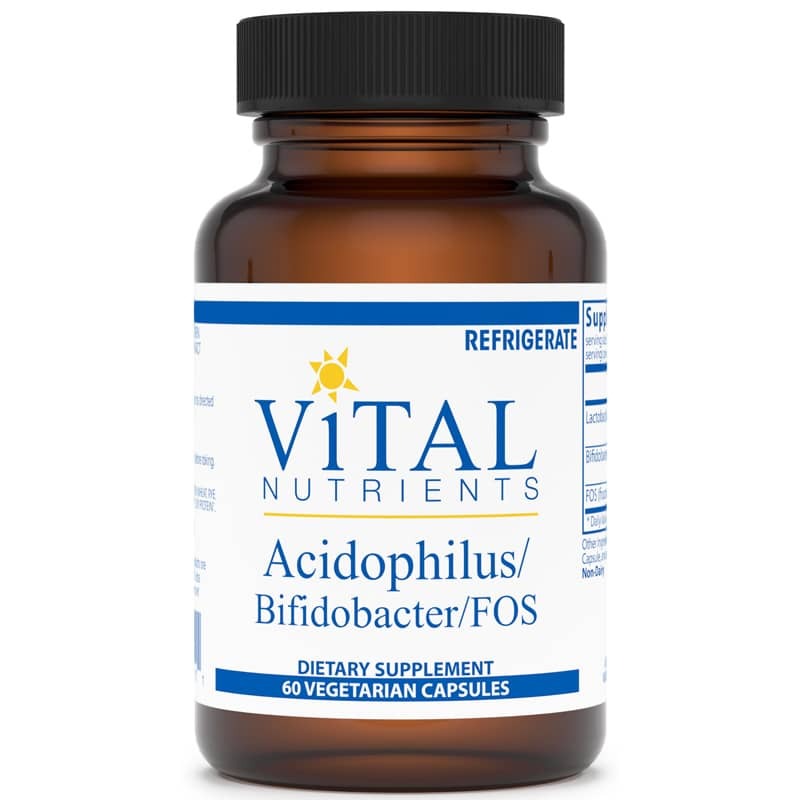 Acidophilus/Bifidobacter/FOS is a probiotic dietary supplement featuring a combination of two bacteria and FOS (fructooligosaccharides), a naturally occurring indigestible sugar that helps to maintain the growth of normal gut flora. This product is intended to support healthy digestion, breakdown of food, and a healthy environment in the intestines for good overall digestive health. 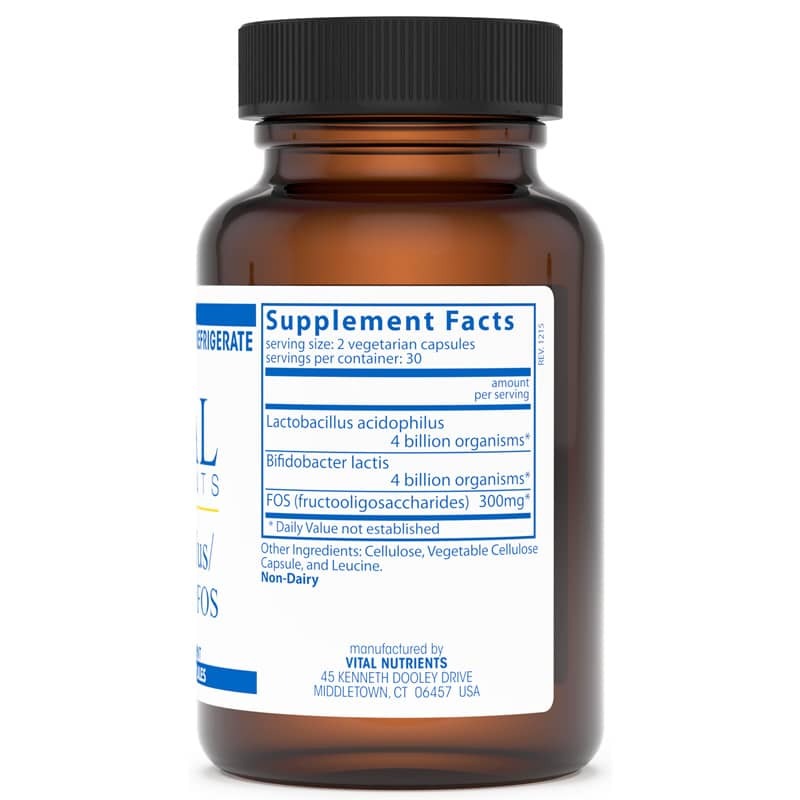 With 4 billion organisms of both lactobacillus acidophilus and bifidobacter, along with 300 mg FOS, this probiotic supplement gives your body the right bacteria to keep your health on track. Additionally, for women, the ingredients in this product may even help to maintain normal vaginal flora. Get the right bacteria for your health. Get Acidophilus/Bifidobacter/FOS. Other Ingredients: cellulose, vegetable cellulose capsule and leucine. Non-dairy. Adults: 1 to 2 capsules 2 to 3 times daily or as recommended by a healthcare professional.